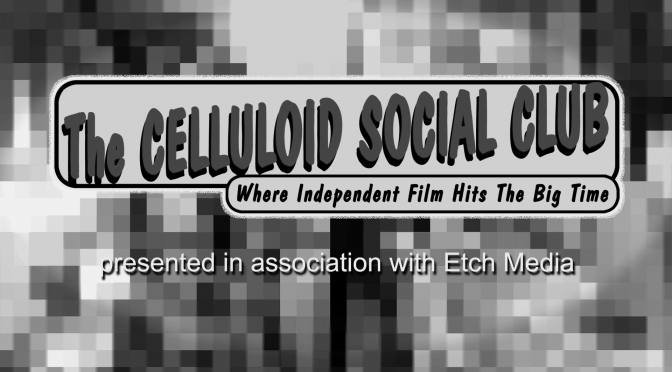 Note: Visit the Celluloid Social Club Booth at the Motion Picture & New Media Career Expo on Wed Nov 4 from 11am-5pm at the Creekside Community Centre in Olympic Village, grab dinner then come down to ANZA Club a few blocks away for the Celluloid Social Club that evening. Also Call for Volunteers for the Celluloid Social Club Booth at Career Expo the same day. Two Shifts 10:30am – 2:30pm and 2:00pm – 5:00pm. Free entry to show that night. Admission/Membership: pay what you can sliding scale $5-$10 cash at door. PREMIERE of EPISODE 104 “Fragrant Harbour” of THE ROMEO SECTION created by Chris Haddock (Da Vinci’s Inquest, Intelligence), CBC TV series Wednesdays at 9pm, directed by David Frazee, written by Chris Haddock, Jesse McKeown & Stephen Miller, produced by Laura Lightbown, Arvi Liimatainen, John Lenic and Kevin Eastwood, DOP Brendan Uegama, music by Schaun Tozer, starring Andrew Airlie, Jemmy Chen, Juan Riedinger, Eugene Lipinski, Stephanie Bennett, Sophia Lauchlin Hirt, Mathias Retamal and Manny Jacinto. 45 min, dramatic series, 2015 – THE ROMEO SECTION is a taut drama about espionage in the Pacific Rim, set in contemporary Vancouver. The show centers on a seasoned handler fronting as a university professor to recruit a roster of informants, who use their powers of seduction to extract secrets from state intelligence targets. MATTRESS directed by Michelle Kee, written by Michelle Kee & Quinn Spicker, produced by Emma Peterson, DOP Graham and Nelson Talbot, music by Robin Andrew Hughes, executive produced by Paul Armstrong & Ines Eisses, associate produced by Jackie Nguyen, starring Sean Quan, Valerie Sing-Turner, Doralynn Mui, Kenneth Chan, Fiona Vroom, Ava Dewhurst, Aaron Hutchinson, Celeste Insell, Kalvin Olafson, Craig Meester, Alvin To, Julia Hartnett, Blaine Toderian, Nathan Thomas. 9:52 min., Comedy, 2014 – Under cover of darkness, the Lees discard an old mattress in a Strathcona alley, right next to a “No Dumping” sign. The next day, a near-riot breaks out in the neighbourhood when no one takes responsibility for it. Dodging rotten eggs and Molotov cocktails, it’s up to the youngest member of the Lee family to do the right thing., – Crazy8s 2014, ICCG Think Forward Film Festival 2014 *Special Mention (Venice, Italy), Vancouver Women in Film Festival 2015 (Vancouver, BC, Canada) *Honorable Mention, Cannes Short Film Corner 2014. PET PROTECTION by LifeofBri, Vancouver Asian Film Festival 2015 Red Packet Challenge. Vancouver Asian Film Festival runs Nov 5-8. http://vaff.org/2015 The Celluloid Social Club is a community sponsor for the shorts screening Sunday Nov 8 at 2pm. TRAILER for TV Series BLOOD AND WATER directed by John L’Ecuyer, written by Al Kratina and Dan Trotta, produced by Nat Abraham, Diane Boehme, Neil Bregman, Tim Brown, Yipeng Ben Lu, Angus Fraser, Ira Levy, Michael McGuigan, James Mou and Peter Williamson. DOP Fraser Brown, music by Richard Pell. Starring Steph Song, Simu Liu, Elfina Luk, Osric Chau, Fiona Fu, Peter Outerbridge, Oscar Husand, Loretta Yu. 8 episodes, Crime Drama, 2015 – Produced in Mandarin, Cantonese, and English, Blood and Water follows the story of Jo Bradley (Steph Song, Everything’s Gone Green), an ambitious young detective who overcomes her personal challenges in order to find the killer of a Vancouver billionaire’s troubled son. Sundays at 10pm on OMNI TV.